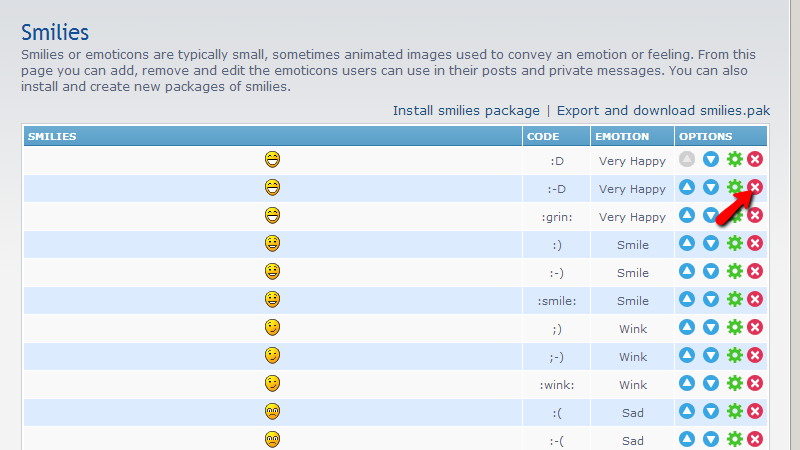 Smilies or the so called Emoticons are an easy way to express your feelings or thoughts in the posts of your Forum. phpBB provides large amount of these for the users of your forum which can be easily used when a post is created. In order to manage the emoticons on your Board phpBB provides you with easy to use admin page which we will present you with in the next lines of this tutorial. 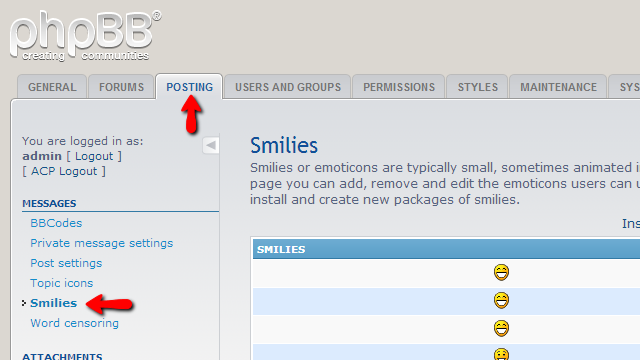 In order to access the smilies management page you will need to login into the Administration Control Panel of your board and to navigate to Posting>Message>Smilies. There you will be presented with a short description of the page and also a table view for all of the smilies you have currently available for your users. In order to edit an emoticon you should click on the green circle in the Options column of the table view next to the emoticon you would like to edit. This action will redirect you to the editing page where you will be able to edit the Smiley Code, Smiley width, Smiley height, if the smiley should be displayed on posting pages and the order of the smiley being displayed. Once you are ready with these edits please use the Submit button in order for the edits to be saved for the smiley. In order to delete an emoticon you will need to use the red circle button in the Options column next to the smiley you would like to edit in the table view. Then you will be asked for a confirmation if you are certain that you would like that smiley deleted and once you confirm that action the deletion will occur ending with a message indicating the successful deletion. That’s it! 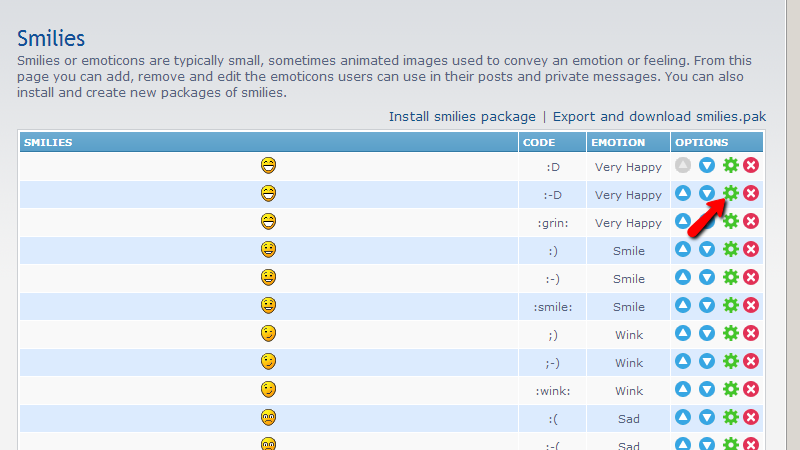 You now know how to manage the smileys on your Board!